If there is one constant I know for sure in this ever-changing world of beauty, it is this: Derms. Love. Skinceuticals. I’ve actually never met a derm, or an aesthetician, or a skin expert who doesn’t. 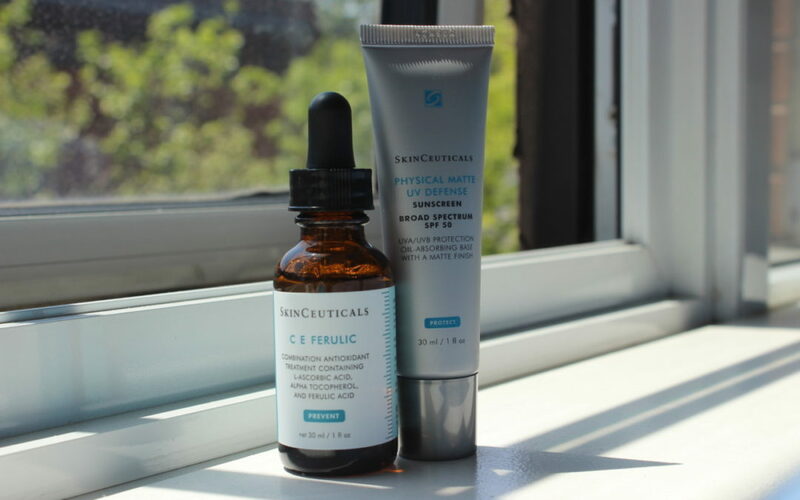 Skinceuticals has some cult faves and some hero products in its line and, while I’m personally a believer in (and user of) the brand, I was curious about what makes it so special. Why are these products better than others? 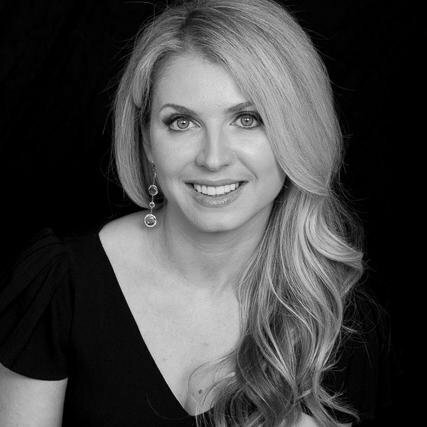 I asked beloved NYC Dermatologist Dr. Julie Russak for her thoughts on all things Skinceuticals and here’s what she had to say…. What about Skinceuticals do you find superior to other brands, so much so that it is incorporated into your practice? What we love about SkinCeuticals is that they are backed by science. The brand is focused around clinical studies and research, that we have been lucky enough to be apart of. You once told me to bathe in the C E Ferulic. Why is it such a cult fave?? How does the product work and why does everyone rave about it? It would be hard to find a beauty editor who doesn’t swear by this clinical brown bottle. 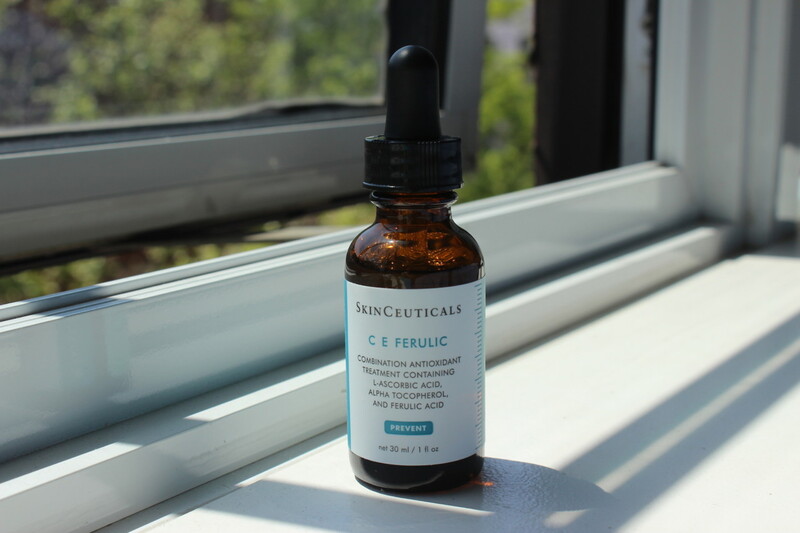 CE Ferulic is truly a staple product for the serious skincare guru. SkinCeuticals CE Ferulic was the first antioxidant to use vitamins C & E, and ferulic acid together, and it is one of the most powerful combinations used in skincare. Boosting 15% pure L-ascorbic acid, 1% alpha tocopheral, and 0.5% ferulic acid, this formula provides 8 times the skin’s natural protection against photo-aging. It works by neutralizing free radicals, which is the root of so many of our concerns, such as collagen breakdown and sun damage. It is best suited for dehydrated and normal skin types. I tested the Physical Matte UV Defense SPF 50 and you gave me a sample of the Physical Fusion UV Defense SPF 50. I love both, and pick between the two based on the finish I’m looking for – matte or radiant. 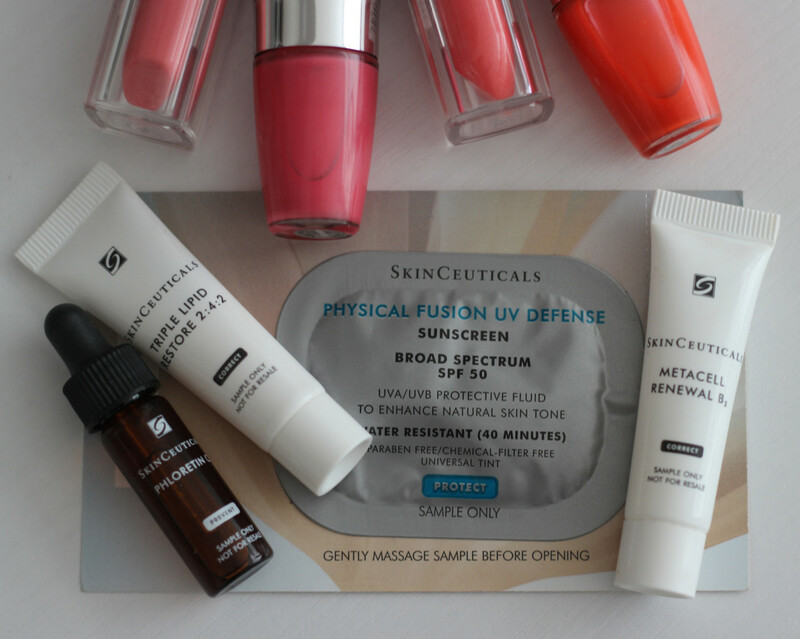 What do you love about Skinceuticals sunscreens? 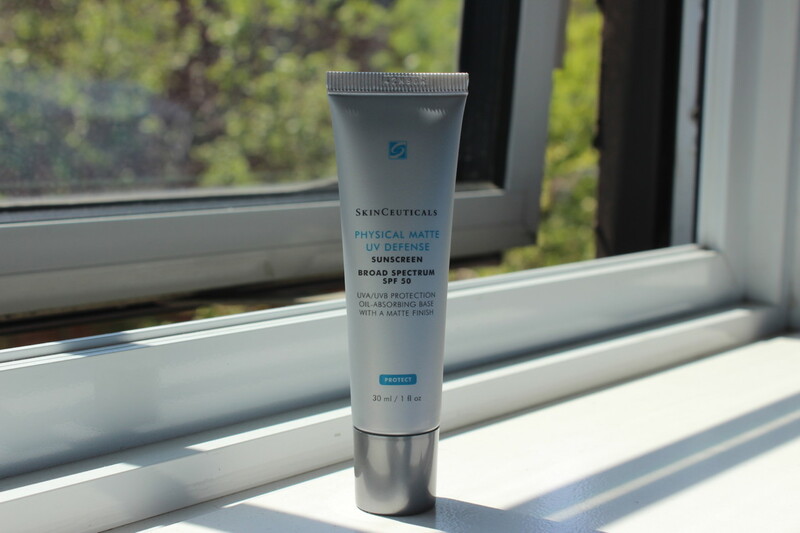 We love SkinCeuticals daily suncreens because they provide effective protection from photo-aging and a high level of broad spectrum sun protection with a chemical-free UV filter. The company’s suncreens are available in a variety of formulations for all skin types and desires. I also received samples of Triple Lipid Restore 2:4:2, Metacell Renewal B3, and Phloretin CF. What do these products do and who are they best for? SkinCeuticals moisturizers are formulated with multi-functional ingredients that hydrate and correct. The metacell renewal B3 is a comprehensive daily emulsion formulated to improve the appearance of early signs of photo-aging by increasing cellular turnover to resurface skin, help even out skin tone, and improve the appearance of wrinkles. The key ingredients are 5% niacinamide(vitamin B3), which helps reduce the appearance of discoloration, 2.5% firming tri-peptide, a blend of powerful peptides that help reduce the look of fine lines and improve firmness, and 15% glycerin, which delivers intense hydration without a heavy or tacky feel. It is best suited for normal, combination, or oily skin. The triple lipid restore 2:4:2 is an anti-aging cream formulated with maximized concentration of lipids: 2% pure ceramides, 4% natural cholesterol and 2% fatty acids. This unique formula helps restore skin’s external barrier and support natural self-repair, while nourishing aging skin for improvement in visible signs of aging. It has been clinically proven to improve skin smoothness, laxity, pore size, and overall radiance. It is best suited for aging, dehydrated skin. Phloretin CF is a daytime antioxidant serum that delivers advanced environmental protection and diminishes the appearance of discoloration over time. It’s key ingredients are 2% phloretin, which neutralizes damaging free radicals, helps improve cellular turnover, and improves discoloration. 10% L-abscorbic acid, a highly potent form of pure vitamin C neutralizes free radicals and protects against environmental triggers. 0.5% ferulic acid, a plant based antioxidant which enhances the other two antioxidant benefits. It is best suited for combination or oily skin types. 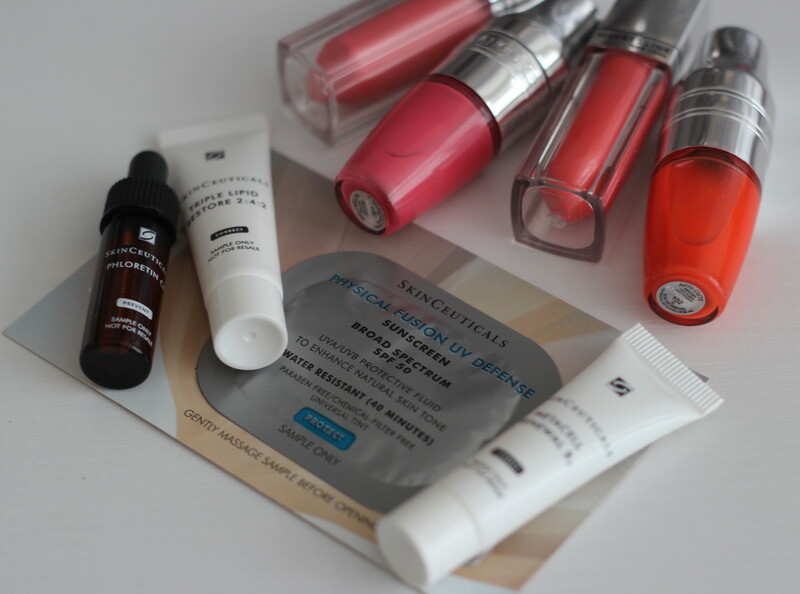 Are there any other hero products from Skinceuticals we should know about? We absolutely love SkinCeuticals A.G.E eye complex. It’s unique ingredients help reduce the appearance of dark circles, puffiness, dehydration and crows feet. Remember, the most visible signs of aging are most evident around the eyes, a good eye cream is a must have beauty staple. So there you have it. Spending that hard-earned cash money on Skinceuticals is really worth it.